Kevin Levrone is a professional American IFBB body builder as well as IFBB Hall of Famer. Moreover, he is also a blogger and musician. During his whole career, he has competed in 68 IFBB Professional contests. Among them, he has won 23 Pro Shows and holds the record of the highest win. At the age of 51, he competed in Mr. Olympia. Kevin Levrone was born on July 16, 1964, in Baltimore, Maryland, United States. He was raised by an Italian-American father and an African American mother. His parents died due to cancer when he was very young. He is the youngest member of his family. Levrone grew up along with his five elder siblings. Levrone made a decision to be a bodybuilder after his cousin returned home from the military. After finishing first in the NPC Finals, Levrone started his professional IFBB career in 1991. He also participated in 1992 Olympics. But during his match in the Olympics, he suffered from several injuries, so people thought his career was over. He had two surgeries, but while the wound was healing, he had to do another surgery due to the infection. In the following years Olympic, he was able to hold the second position. In 1993, he participated in different competitions but he just won the single title at Grand Prix Germany. However, he was able to hold second and third positions in other competitions. Moreover, in the following years Olympics, he stood the 5th position. After that, he continuously participated in most of the competitions and there were more improvements. Including the 2016 Mr. Oplymia, Levrone has participated in more than 13 Mr. Olympia competition. Although he participated in most of the Mr. Olympia tournament, he is not able to hold the first position till now. Because of his unsuccess in the Mr. Olympia, he has got a nick name "The Uncrowned King of Mr. Olympia". He hasn't officially announced his retirement. But he explained that he wanted to do something different and find other challenges. However, after his retirement, he loves playing tennis and golf. Moreover, he has also acted in different movies. Furthermore, he is also a singer. 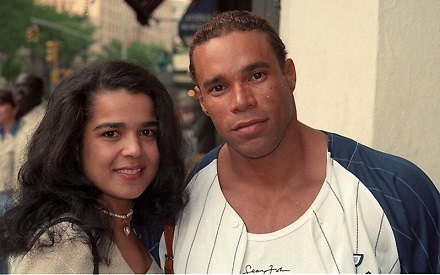 Professional bodybuilder Kevin Levrone is not married yet and having children is out of concern. However, he was in a relationship with a girl in past. But her name is still unknown. Moreover, it is still unknown whether they are still dating each other or not. Levrone mostly keeps his personal details out of reach to the public. Hope he gets married soon. Besides this, there are no any records of his other relationships. His nationality is American and his ethnicity is white. Being such a famous bodybuilder with a great personality Kevin Levrone deserves to have a good net worth. Well, his current net worth is $2 million which is totally worth. He must be satisfied with his net worth and is sure to be increased in up coming days.